A broad brim cotton canvas hat made from 510g fabric weight for strength and durability. Offering maximum sun protection in a stylish and versatile hat, the Kalahari is available in two colours and provides a high level of water resistance as well as simple ventilation thrugh a trio of eyelets. 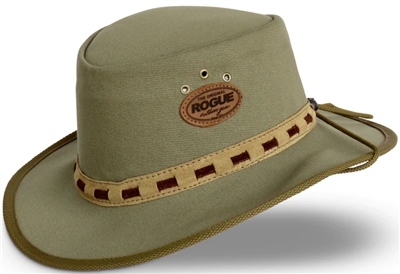 This is the hat Indiana Jones would wear in the real world. Lightweight, rugged and stylish it makes the wearer simply look like they what they're doing - even during those times when they don't! Don't go wandering without one!